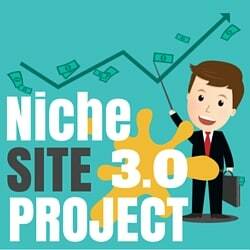 Hey there…welcome back to another Niche Site Project 3 coaching call! Today we finally started talking about how to actually make some cha-ching from your website. This call was all about monetization strategies for your niche website, both short term and long term. The reality is that there are lots of different ways to make money from a website. However, it seems like the default answer for many people building websites is to just throw on Google Adsense or Amazon Associates and call it good. So, before I led Samara down that default path, I wanted to discuss lots of other options that are out there including creating your own information products, software, or other methods of bringing in the mula. 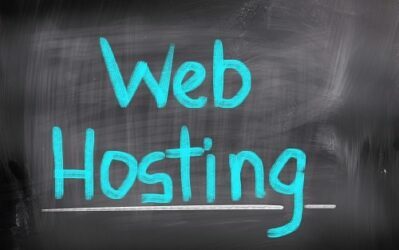 Whether you have an existing site or are just creating one from scratch, hopefully this call will help you think about all the options available to you to monetize your website. What up everybody? It’s me again! Spencer and I had our seventh coaching call about a topic that should pique everyone’s interest: monetization. He covered some of the main strategies, both short- and long-term, and it was all very exciting. First he talked briefly about creating your own product. 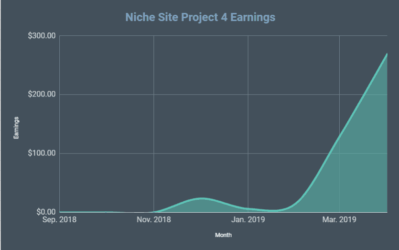 If not for Niche Site Project 3, I don’t know if it’s something I would have even considered, but it actually makes a ton of sense. You have greater control over a product you create and you have much better margins. Affiliate marketing is what I think about first when talking about monetization. 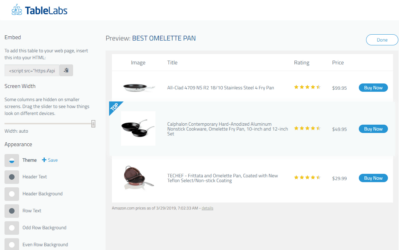 Spencer gave a quick demo for inserting Amazon affiliate links, and gave two real-world examples of websites that are doing affiliate marketing extremely well, which is great to have as both a reference and as inspiration. Of course, there are many ways to become an affiliate. Spencer spoke about Adsense as being a great and profitable option. This was news to me, as I had thought that it was quite hard to make any real money using that method. Oh how wrong I was! Turns out Spencer has had massive success with Adsense and, shockingly, he said that in many cases Adsense will be more profitable than Amazon! We looked at a few examples of websites using Adsense, some more aggressively than others, but it was a great exercise because now I understand a little bit better how it works and how it should look. Spencer also said that it doesn’t necessarily make sense to use Adsense on every site, and that it’s something you need to test. I would be really interested in learning how to test that out: how do you figure out the best size and placement of the ads? Is it just a question of trial and error, or is there a strategy? We also took a quick look at CPA, which is cost per acquisition. I don’t think it makes much sense for my website at the moment (or maybe it does and I just don’t realize it yet), but anyway it’s great to learn about another monetization method for future sites. Spencer went into a little more depth about creating your own product, whether it’s software, services, or a physical product. 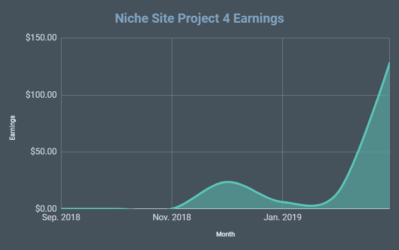 I can think of a whole bunch of potential products that might work in my niche, and like Spencer said, you can see which articles are getting the most traffic and earnings and then consider private labeling a related product. I also have to sign up for an email provider and work out an opt-in form for my site. I’ve never done this before. I bet it’s a pretty great feeling when people sign up to receive your content or newsletter. I can’t even imagine what that’s like; it still feels like that’s a long way off at the moment. I love the idea of building a community of people that I might be able to help in some way. Well, I better not dawdle any longer. I have to get to brainstorming product ideas and adding affiliate links. At the moment, I am living and breathing content creation as I try to get as many articles up as possible. It’s actually taking a lot longer than I expected, but it’s rewarding once you see the site start to take shape. I better sign off then, I have lots to do! If you prefer to listen to the audio only of the call, you can download the MP3 right here. 4.What problem is your site solving? How will your site stand out? Write your first 2 articles for the site! What articles get the most traffic and earnings? Most Profitable = Build a community, keep them engaged, sell products to that community. Easiest way to stay engaged in with an email list. Thanks for all the great content! As a recent LTPP purchaser I’m very excited and grateful to receive these step by step guides. I notice that thewirecutter is pointing their Amazon links to an internal page and then “redirecting” with a 302. I could see using the internal page as a great way to collect click data, but also know that Google may frown on any tactics related to “cloaking”. I haven’t looked at it specifically, but if the wirecutter is doing it without issue then perhaps its okay. Using a redirect is not really “cloaking”. Very informative post as usual. First i want to ask that do you still recommend easy azon.If yes then will there be any issue while using their info block ?Second can we use their cloaking option.I have also observed that when you click a product on wire cutter they go to amazon through an internal page which i think was something like this wirecutter.com/link/………….So what is the difference between wirecutter this behavior and easyazon link cloaking? Yes, easyazon is fine. There is no difference between what the wirecutter is doing and the “cloaking” option in easyazon…its the exact same redirect structure. So can we use cloaking option of easyazon or it is harmful for the site in google eyes?As wire cutter is using same sort of thing without any issue.But one thing is they have authority site but for a new site (with 20 posts) what is your recommendation? Using the “cloaking” option in EasyAzon is just fine. Good Stuff Spencer and Samara. Really educative! Hey Spencer how does the wire cutter get away with using so many amazon links per page?? The example page you used, best USB flash drive, has like 40 amazon affiliate links. With long and in-depth content you can put lots of links. If their article was only 1000 words, 40 links would be a problem…but not so because of how in-depth their content is. Okay, thanks for the feedback. I’ll go back and add all the audio files. (Stopped doing it because wasn’t sure it was being used). of search results and 3 at bottom of results. How much do you think this will effect us, should we be concerned? Thanks again, for all the great info you provide! Ray, there’s several related pieces, with similar stats to this – https://searchenginewatch.com/sew/study/2276184/no-1-position-in-google-gets-33-of-search-traffic-study, but from what I’m aware of these numbers will still be fairly accurate. I’m seeing chatter online that Adwords position 4, when active for an e-commerce query is taking traffic away from organic, as expected. Time will tell, not sure at this point. 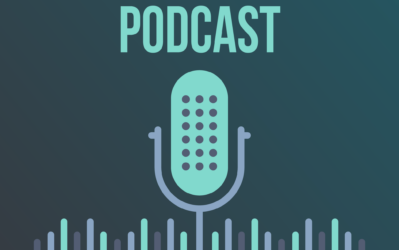 Hi spencer, in the podcast you mention how Jon Haver bought several sites in a niche and then directs that traffic to a product listing on Amazon. I know you are doing the same thing with the site you and Perrin build for your Amazon business. I know from experience that less than 1 percent of the people who clicks an amazon affiliate link ends up buying that product… most of them buy nothing and about 6 percent buys another product they found on Amazon while your affiliate cookie was still active. that comes down to less than 1 sale per 100 sessions in the Amazon seller statistics…. in other words a high bounce rate on your listing. Do you think that would have a negative impact on your rankings in amazon? the bounce rate..
Do you think the amount of sessions also help to increase rankings? Do you use a super url with an important keyword to take traffic to your amazon listing? Higgins, if you’re hooked up to Google Analytics then making a change that impacts bounce rate, dwell time/long click-short click should have consequences on rankings. From my experience. If people in your list receive newly published posts to “keep up to date”, that means that in those posts any included affiliate links would be sent as well. Since it’s against Amazon TOS to have affiliate links in emails, how do you get around this? I’ve never sent a blog post as an email, so this has never been an issue. That’s not how most autoresponders work. How would you suggest I start monetizing my blog? It’s relatively new and I don’t have that much traffic yet. I only get about 200 to 300 visits a month, but the blogs only been up for about 3 months. Thank you so much, Spencer and Samara. I’m really confused at the moment about homepage as Google doesn’t like an affiliate site and we’re developing it to an authority site so what is the homepage about? Not a buying guide article, right? We will put buying guide, review articles into other pages ( categories ), right? It’s really hard for me to imagine bcs this is the 1st time I’ve built a niche site. Could you give me some advice for structure of a homepage for niche site? The homepage isn’t that critical to be honest. It can be like NichePursuits.com, or a static page, or a “magazine style”…doesn’t really matter. Awesome stuff here. I’m really loving the weekly updates to these projects, so huge thanks for doing this! Question…I believe I’ve found a very good niche, but there’s one catch…no products are being sold on Amazon and I’m 99% sure that I would have to contact individual manufacturers of the products I would be selling to create an affiliate agreement/contract. Some of the sites I’m looking at are 10-15yrs old, with only a DA of 15-25 and about half of every keyword I’ve found has a KC and PA under 25. As good as this sounds, should I still pass due to the difficulty of working with product manufacturers rather than Amazon? No, not necessarily. Higher barriers to entry means you will have less competitors. Hey samara, keep on pushing through. I realise how much work it is as I’m working a full time job and going through the same thing!!! Hello, Spencer,First of all, i want to give hats up you for this great post. I see that 2016bestsuv.com used four ad unit to the home page.Would you please give make it clear Will it be the good practice for us?will it be 3 or four unit for every page? If you read the google adsense terms of service, you will see the max number of ad units + link units. 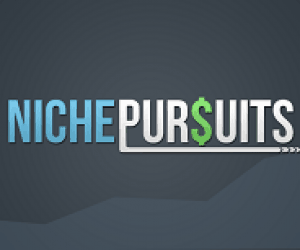 I’ve been going through nichepursuits content like crazy and also using my longtail pro trial. I’ve spent many hours working, planning, researching, and writing. I have a few thousand words of great content but I’m having trouble setting up and tweaking WordPress because I don’t have the thrive theme (can’t afford it at the moment). I thought the simple mag theme I purchased last year would be a good alternative but it’s not. I was wondering if there was any way you’d temporarily hire me to write content for you? So I can buy the thrive them. lol. I hate writing content and doing research but I am good at it. I figured I’d ask you in a comment instead of your contact page. If not np. I am not looking for any writers…but tons of people are on Textbroker.com or Upwork.com. Good luck.